Beautiful shot. 8) Nicely done, OlAf. Didn't think of this thread until the last great shots alerted me. So, why not post these - on my way to my shed with no need for 600 but there he was intent on having a conversation. Inside the shed - the large plastic hamper containing bird seed had a hole chewed in the cover but he hadn't gotten quite far enough. It was then I understood that look he was giving me. Nice shots all. Another with the 300f2.8 ii with 2xiii extender. Some excellent squirrel shots here ! Well then, here's another for your perusal. He's all pooped out from stealing my food. Actually that's not true but it sounds good! So cute Nicely done, Jack. Thanks click. It's nice when different poses present themselves. Pure luck here. Well done. Beautiful!! The EF300 2.8 II pairs very excellent with 1.4 and 2.0 extenders. Saw a fellow birder with the EF300mm F2.8L IS II + 2xIII setup and I want to know how sharp the image will be with this setup. I ask him to let me try to take a shot with my 7D2. 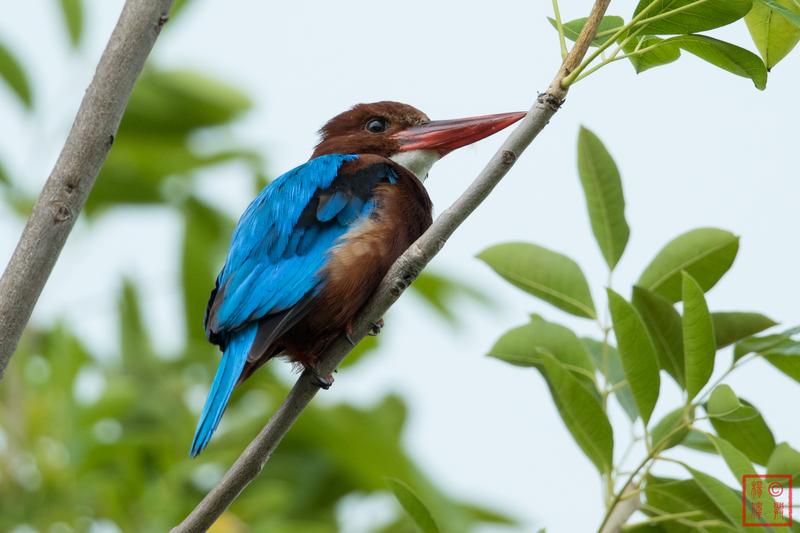 I quickly point at the Kingfisher on top of the tree and take a shot at wide open (F5.6)... The AF is still very fast with this setup. When I open the image in LR... WOW... very sharp at 100% crop even without any additional sharpening... just the default LR sharpening. EF300mm F2.8 IS II + 2xIII F5.6 on 7D2. Sam Lowes #22 getting #onit through the DeBult corner during Free Practice 1 of the Dutch TT 2016. I had picked up a used 1DX body on my way to the race weekend and this is taken on the first day of shooting with it. It is significantly faster, more accurate and consistent in focusing than my 5D3. I guess there is something to the old saying of "soft light yields soft pictures" - the shots taken in sunshine just have a higher in-focus rate than when it's cloudy.